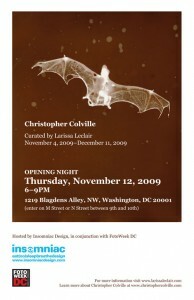 Larissa Leclair - Christopher Colville exhibition extended! In his first solo show in Washington, D.C., Christopher Colville, an Arizona-based photographer, explores the themes of time as manifested in death and memory in a selection of work curated by Larissa Leclair from his series Emanations, Iceland Trilogy, and Sonoran Project. Christopher Colville is a photographer who pushes the boundaries of the medium. 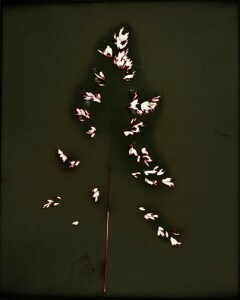 He embraces traditional and experimental processes, such as photograms, ambrotypes, and decay-generated images in his contemporary photographic work. 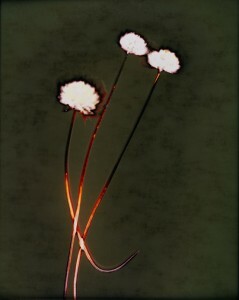 In Emanations, it is the energy given off from a decaying squid that exposes the photographic paper. Colville records this journey of life, of self, of death, in a myriad of colors that conjures up cosmic matter, unknown worlds, micro and macro ecosystems. It is ephemeral and magical. â€œIceland Trilogyâ€� is an interconnected body of work of ritual and connection to the landscape. 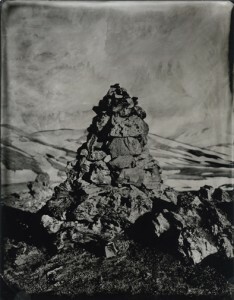 Two series within â€œIceland Trilogy,â€� Cairns and Small Tragedies, are intimately tied together in terms of the artistâ€™s ritual of creating one photograph each day in the Icelandic landscape of his ancestors. Cairns themselves are stones used to mark pathways, as well as markers placed as memorials to the dead. Colville reflects on his own intersection with the path of others – now and of the past. Sonoran Project is Colvilleâ€™s latest body of work. Life in the Arizona desert is both miraculous and tenuous. In the vast landscape there are traces of life in all stages. 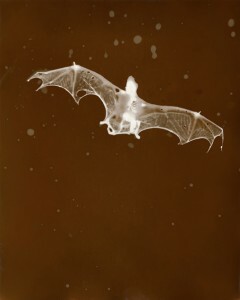 His photograms capture a mythical spirituality of the natural world. This selection of work, seen together for FotoWeek DC, explores the cycle of life, the passage of time, history, and the landscape that embodies us all. Christopher Colville is a photographer and teacher at Arizona State University. He has been awarded a 2008 Artist Project Grant from the Arizona Commission on the Arts and a 2008 Public Art Commission from the Phoenix Commission on the Arts as well as an American Scandinavian Foundation Fellowship in 2006 to photograph in Iceland. Colville was also awarded the Van Daren Coke/Beaumont Newhall Fellowship in 2003. He holds an MFA in Photography from the University of New Mexico and a BFA in Anthropology and Photography from Washington University in St. Louis, Missouri. Larissa Leclair is an independent writer and curator in the DC area. Insomniac Design is a web design and development firm in DC. FotoWeek DC is a 501(c)3 nonprofit organization founded in 2008 whose mission is to celebrate the power of photography and to unite and strengthen the Washington DC photography community. All photographs are available for purchase. Prices vary depending on edition number. You are currently reading Christopher Colville exhibition extended! at Larissa Leclair.